The meters will start using GPS tech in order to boost their competition against Lyft and Uber. A new pilot program is about to begin with the New York City Taxi and Limousine Commission in which it will be using geolocation technology within the fare meters in about 1,000 of its yellow cabs throughout the city. The intention is also to take away the annoying “Taxi TVs” to replace them with a new type of payment system. 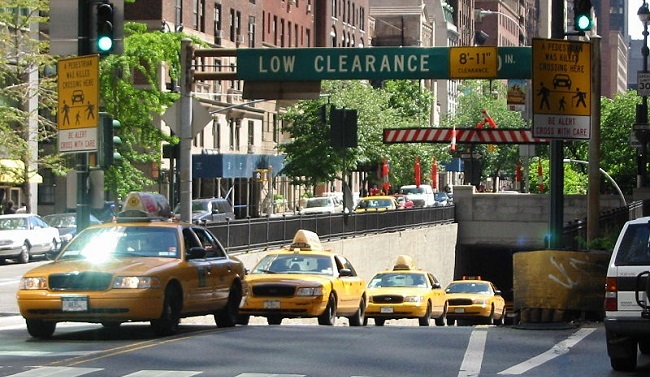 There are currently about 13,500 cabs in New York City that are reliant on a range of different devices that will track idle times and the number of times a wheel turns in order to help to calculate a fare. This system will be replaced in 1,000 of them as a part of a pilot program testing out geolocation technology based meters that will use GPS. In those cabs, the familiar red digits in the meters on the dashboards will be gone and a whole new system will have replaced them. The length of the geolocation technology based meters is going to run for about a year and will be smaller than predicted. Initially, the plan had been to involve 4,000 cabs in the pilot, but that was reduced by a quarter. The cabs participating in this trial of the technology may also have a replacement of a number of other pieces of equipment including the TaxiTV, the credit card reader, the taximeter, and the vehicle location system, among other things. All of this will be replaced by a smartphone or tablet that will be used in order to calculate the fare as well as to collect the payment at the end of the trip. According to the commission’s chairperson, Meera Joshi, “Ultimately it is to create a more nimble system.” This pilot program has also been designed to help to upgrade the entire experience of taking a cab and is a direct response to the threat posed by app based ride share services such as Uber and Lyft. There will be up to four companies that will be selected for participation in the geolocation technology using pilot program. Each of those companies will have the new mobile payment technology installed into 250 of its cabs.